The luxury Svelte Multifunction Shower Head combines sophistication and style. 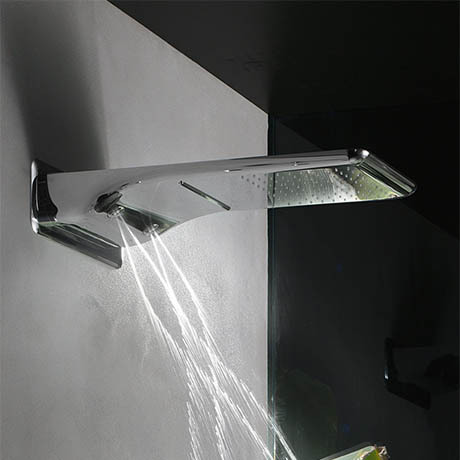 Embracing luxury bathroom elegance, the showerhead features multiple water flow channels, including rain, waterfall and refreshing spinning jets. The spa-inspired design offers a sensational showering experience. Crosswater offer a 10 year guarantee for peace of mind.